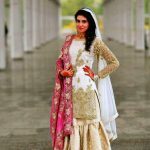 White Bridal Dresses Trend 2018 In Pakistan. 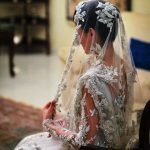 The beautiful white color is considered as the pious color, but it was not used for brides since red is considered a traditional bridal color. 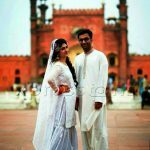 But the trend has now changed and today, modern brides love to dress in white to have a sophisticated look on nikah day. 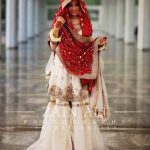 If you want to add traditional red in your nikah white dress, you can combine red dupatta with a white dress. 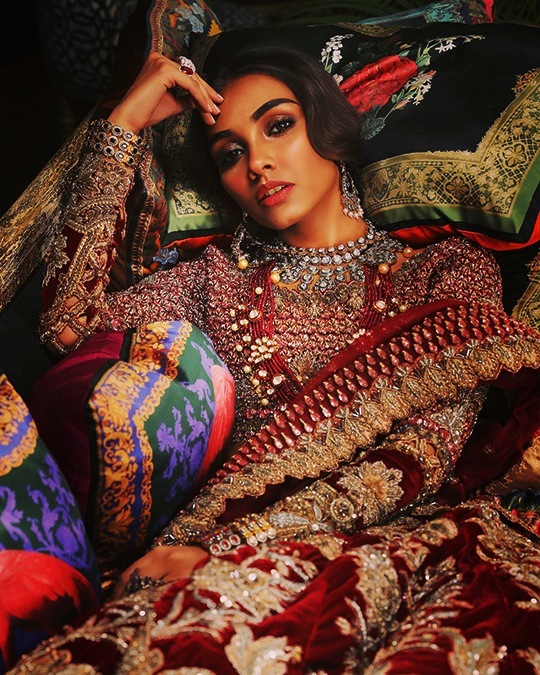 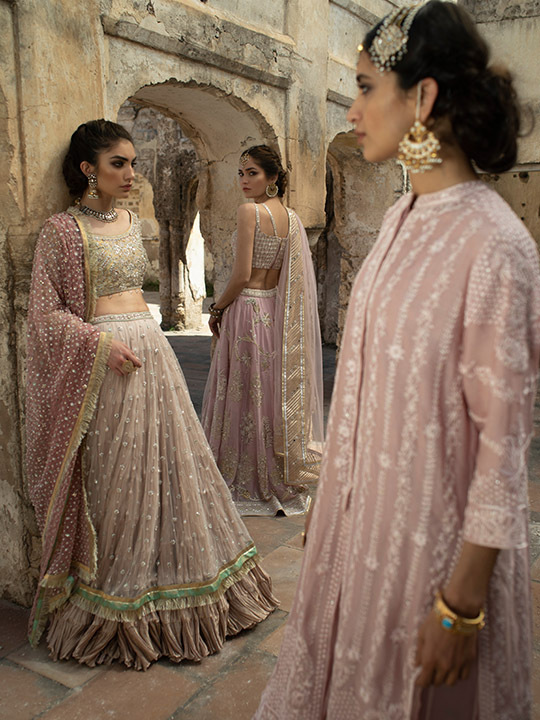 Look at this image for inspiration, the modern white gharara dress is embellished with a delicate work of golden zari along with a red touch. 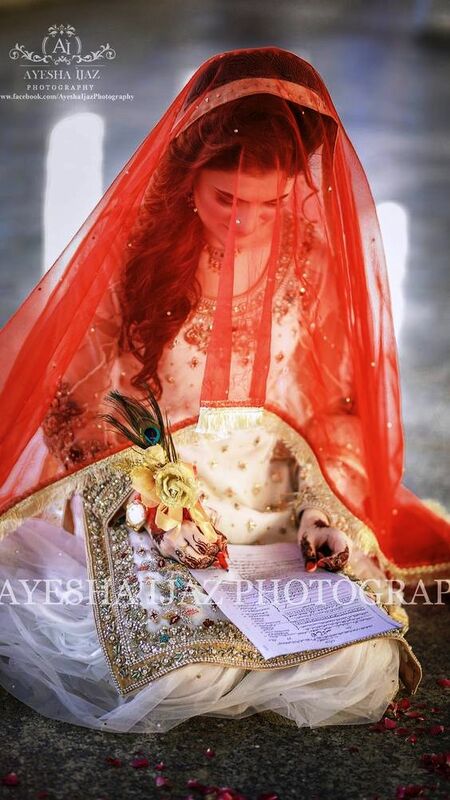 The embroidered golden red dupatta is increasing the beauty of the white dress. 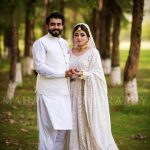 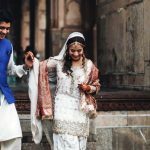 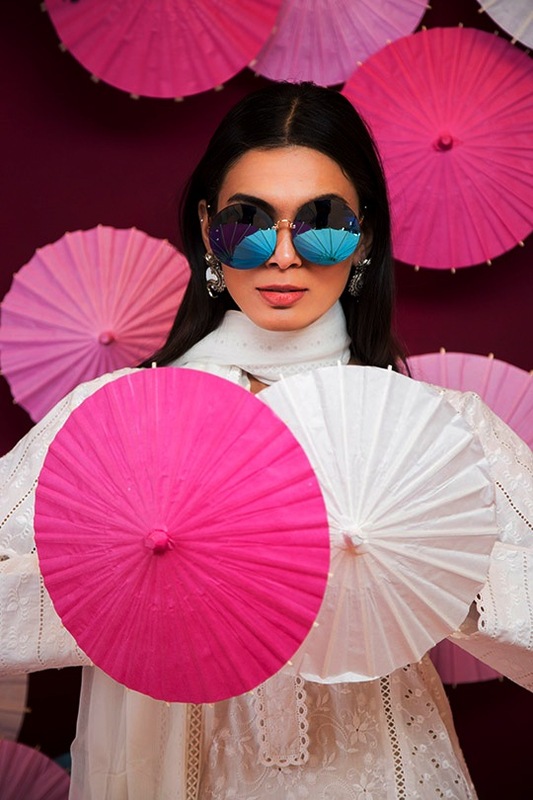 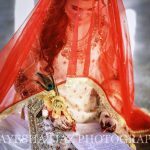 For fall-winter weddings, it seems uncomfortable to wear a dress or a cozy sweater for brides, so if you are going to get married or nikah in winter, then you can get an idea of this image. 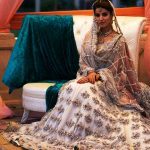 Put on an elegant and fashionable white dress, and to feel warmth you can wrap it in a maroon velvet shawl and drop it on your hands in the most elegant way.